The math of WAR keeps analytics adding the sum of the parts! Washington Nationals general manager Mike Rizzo refers to his analytics department as “The Pentagon”. They are a key to the Sabermetrics and the math of WAR (Wins Above Replacement) which keeps Rizzo’s analytics department on their toes as each player added to the final roster will be a integral part to the team’s success. While Nationals’ manager Davey Martinez embraces the analytics, he understands that he must put his players in their best situations to maximize their values. Martinez plans to work very closely with the front office to consider all of the analytics data he receives. Don’t expect any Spring Training controversy with Davey Martinez when it comes to line-up formation like last year when Adam Eaton was batting 7th in some games. As a matter of fact, Martinez has already divulged that he plans on batting Adam Eaton in the lead-off and Trea Turner in the two-hole based on analytics. Eaton has a much higher projected OBP (on-base-percentage) than Turner while also seeing more pitches per at-bat. Adam Eaton in 2017 saw 4.14 pitches per plate appearance as compared to Trea Turner at 3.79. Did we mention Anthony Rendon was 3rd in all of the National League at 4.37 pitches per plate appearance? Eaton had an impressive .393 OBP in 2017 compared to Trea Turner at .338. Bryce Harper led the Nats with a .413 OBP followed by that Rendon guy at .403. 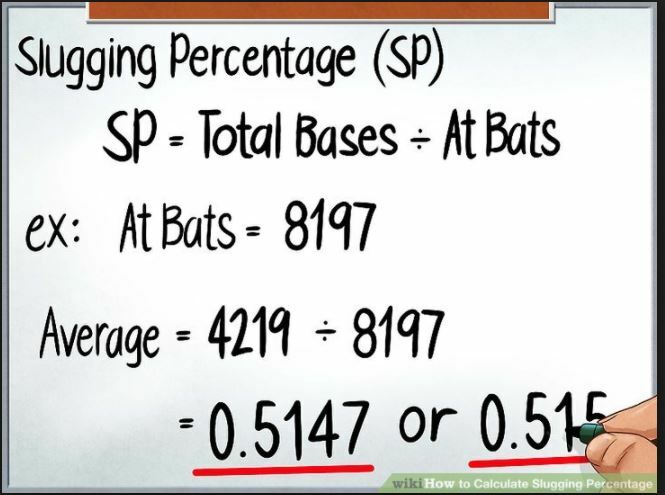 The reason to bat Harper and Rendon further back in the batting order is to take advantage of their power numbers. Harper slugged at a .595 clip, Rendon was at .533 while Eaton and Turner were at .393 and .451 respectively. Wins and losses will always be determined by runs scored above runs allowed in any given game. While WAR will project you close to team wins, Fangraphs has found that wins and losses are more accurately estimated by run differentials calculated as BaseRuns. Here is the breakdown of the WAR: the position players are worth 24.9 WAR; the pitchers worth 20.3 WAR for a total of 45.2 WAR. If we add those “given” 50 wins plus 45.2, the Nationals should win 95 games; however, recall that runs determine the wins and Fangraphs has the Nationals projected currently at over 91 games. Fangraphs projects the Nationals with a +99 run differential with 4.93 runs scored per game while allowing 4.32 runs per game. 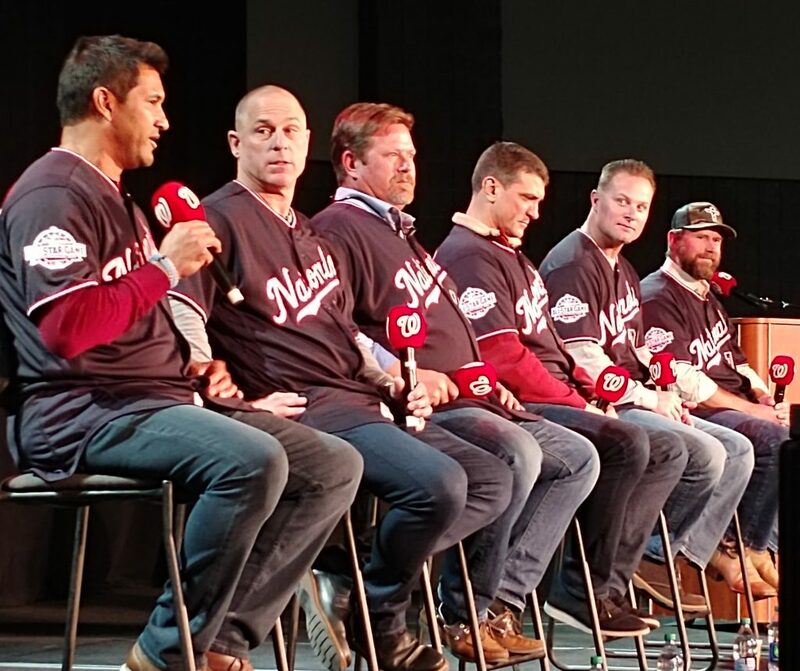 The group of Sabermetric stars on the Nationals’ analytics team is led by the Director of Baseball Operations, Michael DeBartolo and the Director of Baseball Research & Development, Samuel Mondry-Cohen. Mondry-Cohen currently has four assistants: Lee Mendelowitz and Scott Van Lenten who are analysts of baseball research and development; and Isaac Gerhart-Hines and Jay Liu who are developers of baseball research and development. As Davey Martinez says, the games are “still played on a diamond, on dirt, on grass, with a bat, with a baseball, with a glove”. And because of that — the real numbers will be determined in the actual box scores. This entry was posted in Analysis, CoachingStaff, DaveMartinez, Sabermetrics. Bookmark the permalink.